Find out what skills you need to get picked. Turn your certificate, diploma, or degree into dollars. Meet with graduate schools and over 60 employers. 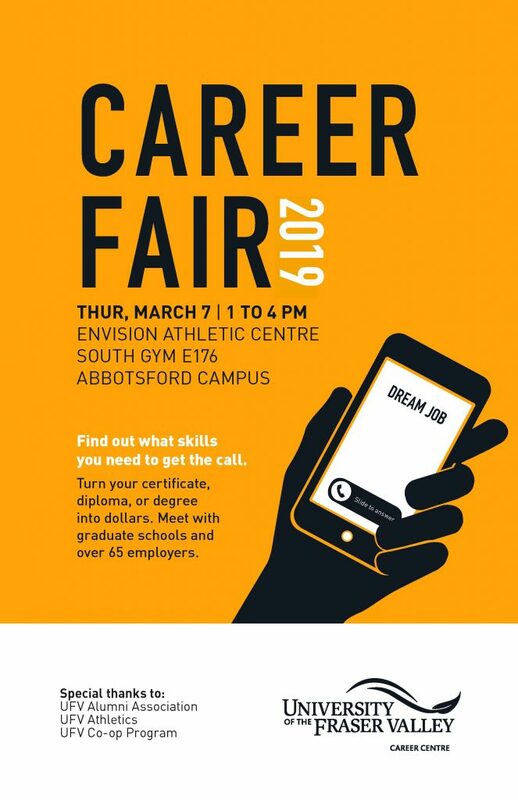 For a full list of exhibitors visit https://ufv.ca/jobs/career-fair/exhibitor-profiles/. At the Career Fair, you will have the chance to win a number of great prizes! Interested in volunteering? Please email networking@ufv.ca with a copy of your resume as well as a short blurb about yourself.